The moment we’ve been waiting for all NBA season long is finally here. We waited for 82 games and the entire playoffs to get to what appeared to be a guarantee: the Cavs vs Warriors: Part III. It’s the first time in NBA history that two teams will face off for a third straight season, and this year the Warriors come with some added firepower with the signing of the century: Kevin Durant. Yeah, we couldn’t believe he signed with them this off-season either. What resulted was another historic regular season and playoff run for the Dubs and they knew that LeBron, Kyrie, Kevin Love, and company would be waiting for them out of the Eastern Conference. 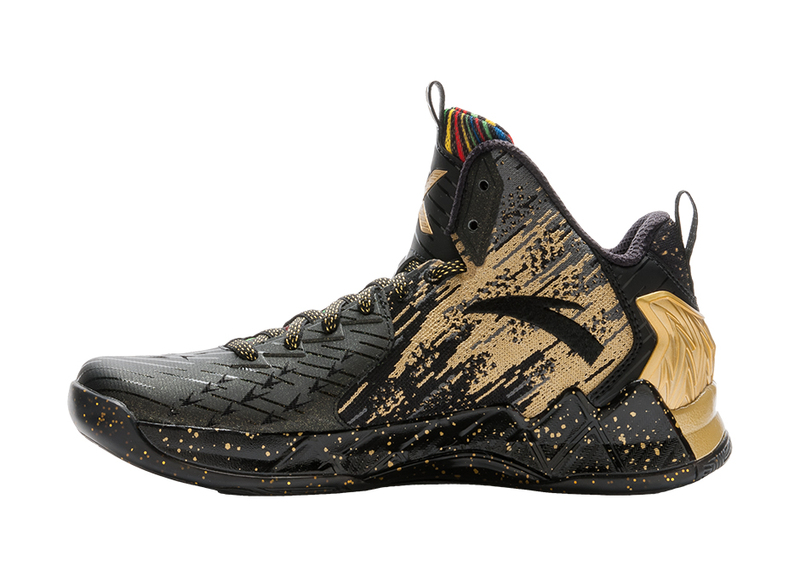 By now you’ve probably listened to all of hot takes sports radio and Twitter could muster up, but in the world of sneakers, one thing is for certain: this year’s NBA Finals will be the biggest platform basketball shoes will ever receive in primetime. Many have argued that having two teams dominate the league the way the Cavs and Warriors have for the past three seasons is bad for basketball, but for the brands involved like Nike Basketball and Under Armour, they have an opportunity to introduce the next generation the new product using this historic rematch as the perfect event to do so. Nike Basketball is taking over the NBA Finals thanks to the addition of KD, as three of their signature athletes (and possibly a future guy in Draymond Green) will be featured throughout the epic battle. Steph Curry and Under Armour have some surprises waiting for us too. 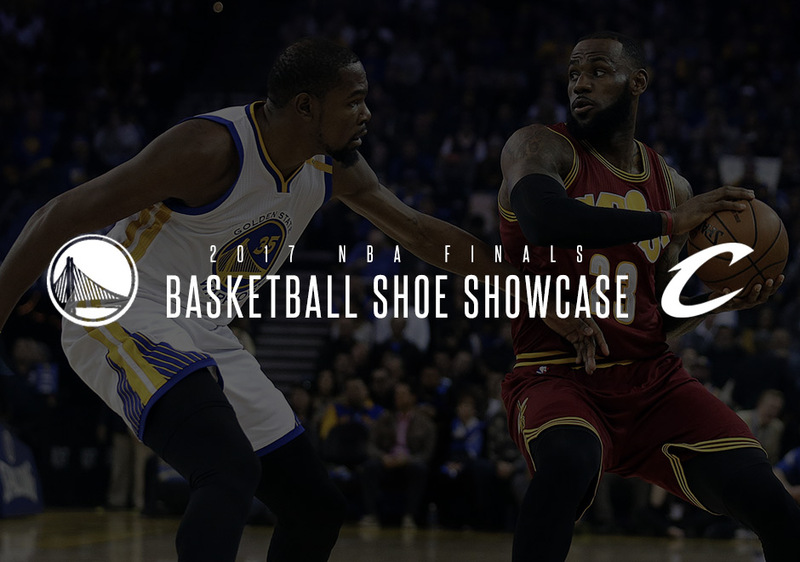 Check out the definitive 2017 NBA Finals on-feet guide and stay tuned for more updates throughout the NBA Finals right here on Sneaker News. 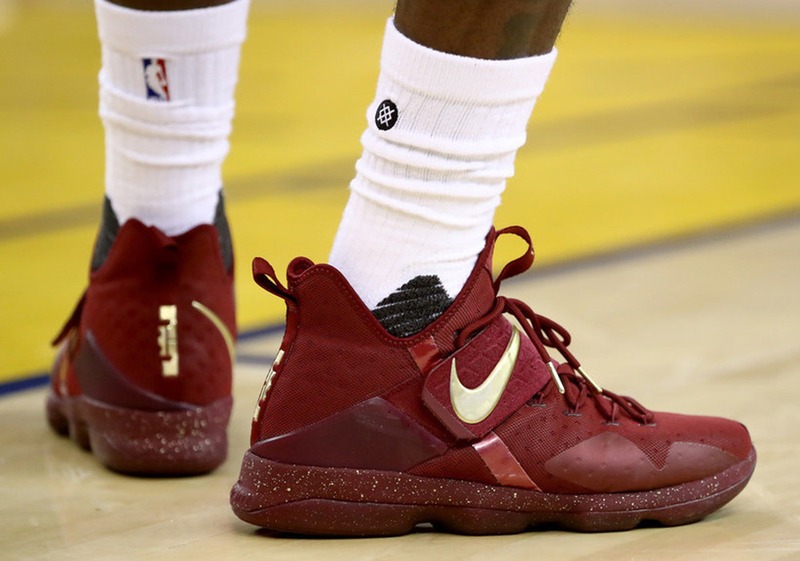 Bron mixed things up last year with his Nike LeBron 13 Elite and the surprise debut of the Nike LeBron Soldier 10. 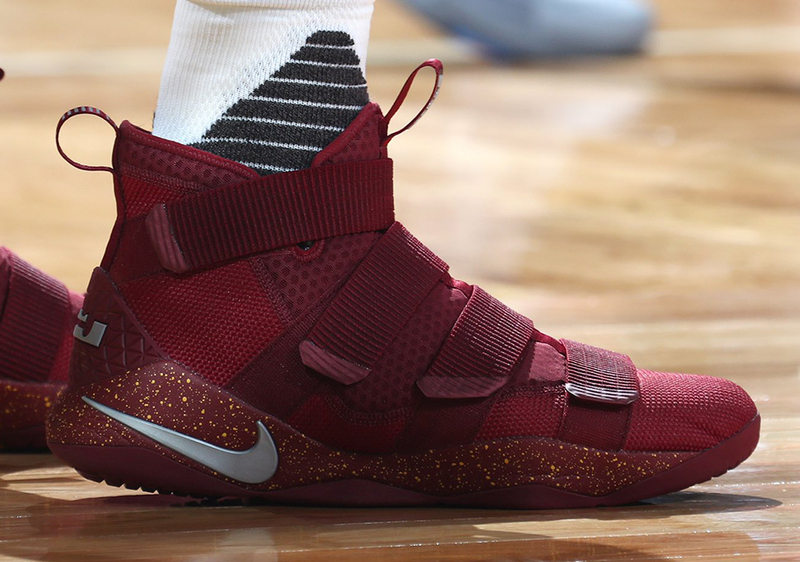 The Cavaliers’ historic comeback was jump-started by a Draymond Green suspension and LeBron’s switch over to the laceless three-strap Soldier 10, so we fully expect to see him rock with his LeBron Soldier 11 throughout most of this year’s NBA Finals. He’s even previewed a PE earlier in the postseason against the Pacers (more on that pair here) and was rocking a new colorway during shoot around yesterday (check that pair out here). Regardless of what LeBron wears, his signature or Soldier will be putting in some serious mileage because LBJ is going to have to do even more in Cavs vs Warriors: Part III than he did last year. Impossible? Maybe if he wasn’t LeBron James. 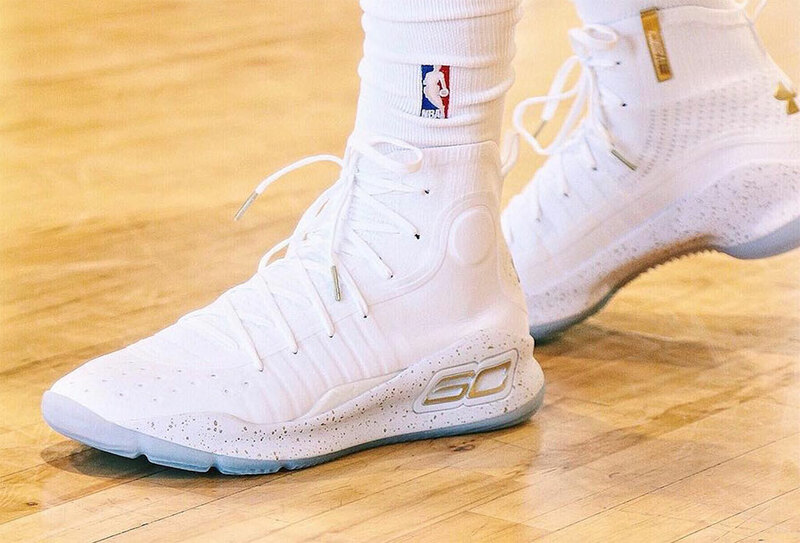 Steph Curry is also making a major splash by debuting the all-new Under Armour Curry 4. Featuring an upper that blends knit fabrics and lightweight materials, the Curry 4 is a much-needed departure from the lackluster Curry 3. Under Armour originally intended Steph to wear a PE of the Curry 3ZER0 (which he still may wear), but the two-time defending MVP definitely deserves some of the sneaker spotlight with this impressive new shoe. What better time to roll out the KD 10 than during Kevin Durant’s second NBA Finals appearance? 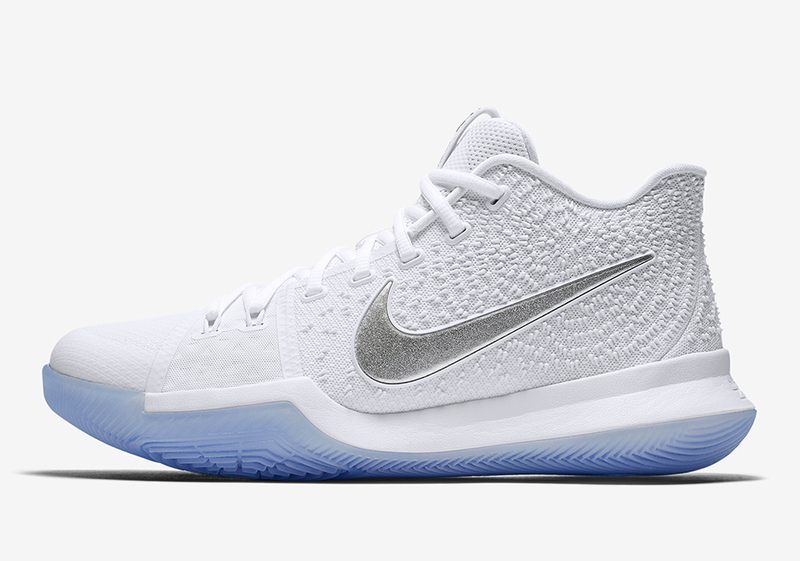 Nike Basketball is doing something rather unique with the debut of Durant’s tenth signature model: you’ll only be able to purchase the “Still KD” colorway whenever KD is on the floor during Game 1 tonight. The pair will be announced via Nike SNKRS when he checks in, but the second he goes to the bench, the shoe will disappear from the site. 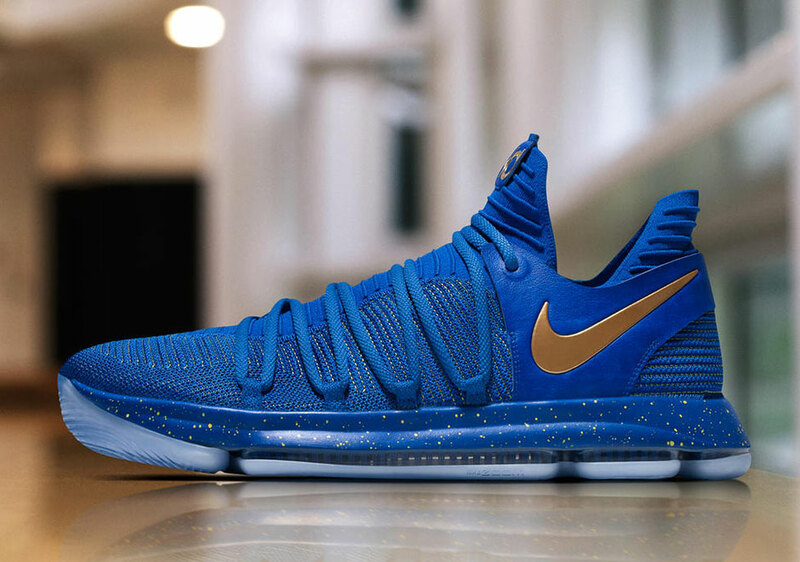 Don’t worry, the Nike KD 10 “Still KD” will be globally available tomorrow, June 2nd for those of you that miss out, but it offers a new and exciting way for Nike to interact with their fans live during the game. Kevin Durant is perhaps under more pressure than anybody in these Finals given the way he joined the Warriors but a new and refined model should hold him down through the biggest games of his life. It looks like the days of Nike Basketball’s Elite Series are over. 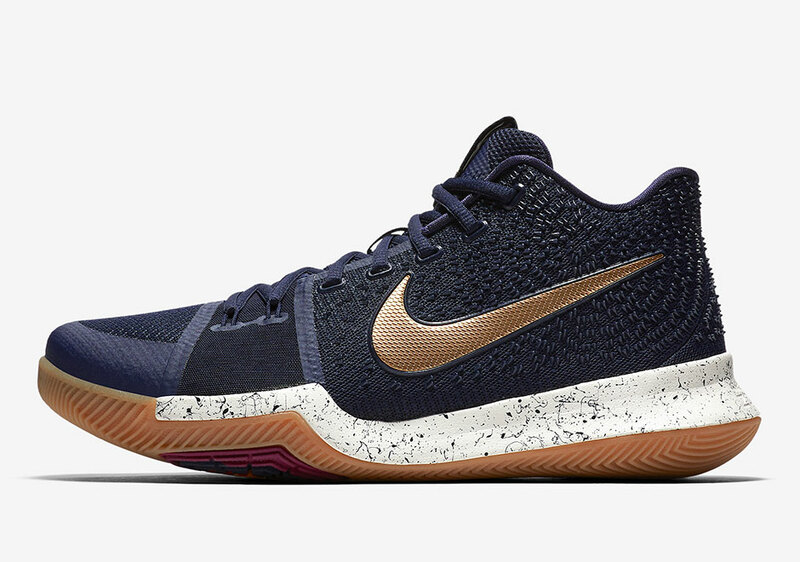 There are no more LeBron, Kobe, or KD Elite models being churned out anymore, and we’ve never seen a Kyrie Elite either. That doesn’t mean that Uncle Drew’s play and Kyrie 3 PEs won’t be of the elite quality given his stats and his series-winning shot last year. He continues to write Whiplash on his midsoles inspired by the Oscar Award winning movie about a drummer driven to the point of insanity by his passion and an abusive teacher. Think of Kyrie as Myles Teller and LeBron as J.K. Simmons. 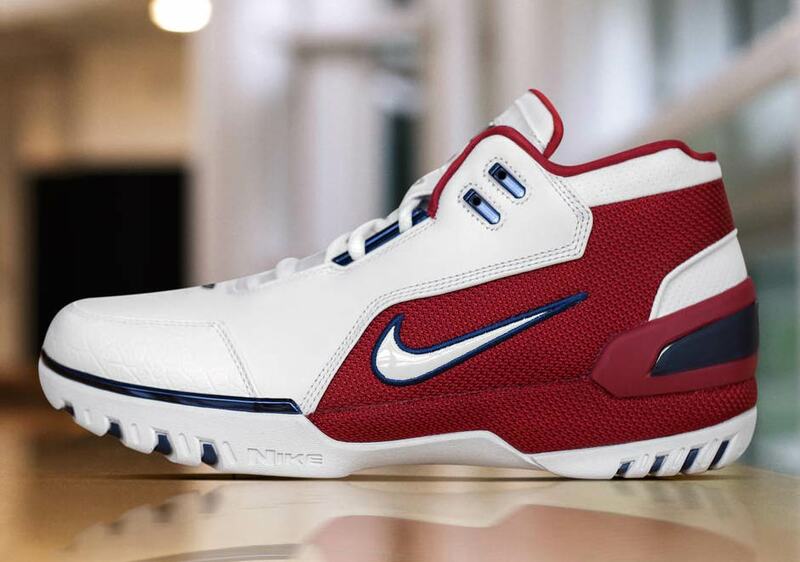 The guy already has one of the best-selling signature shoes in the NBA mind you. 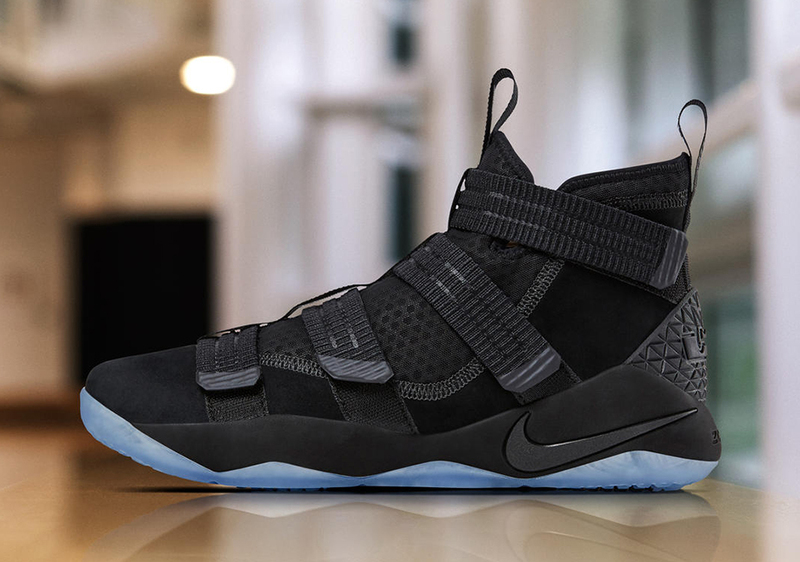 So can we expect a follow-up to last year’s Nike LeBron and Kyrie Championship Pack? The Warriors will say no and they’ll do everything in their power to stop this year’s Finals from going to 7 games. Is Draymond Green Nike Basketball’s next signature athlete? 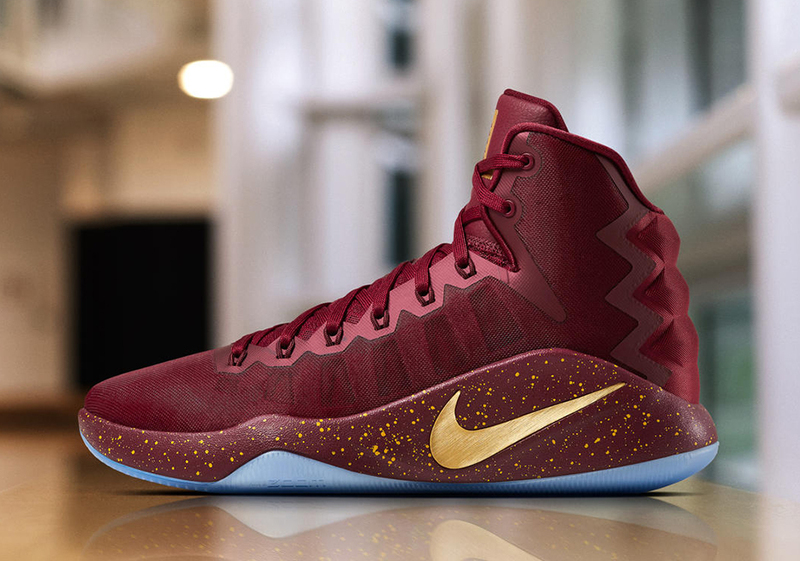 If history proves correct, every player that’s helped push the Nike Hyperdunk series has gone on to get their own signature model from Kobe Bryant, to Kyrie Irving and Paul George. The Warriors’ roster could be the greatest collection of singular talent ever to grace an NBA court. They have a current 3-year stretch where they’ve won more games than any team in league history. KD’s move gave Nike a way to overshadow Steph Curry and Under Armour in the Bay and now it looks like they could reward Draymond for his fierce competitive spirit and brand loyalty. 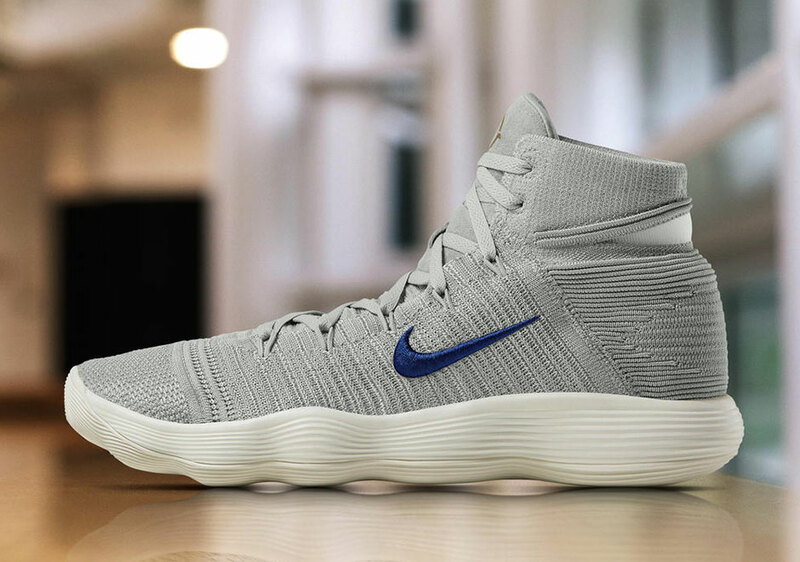 He’ll debut the new Nike React Hyperdunk 2017 Flyknit, a shoe that looks more like a Lunar Chukka than a performance basketball model (and that’s a good thing!). The pair features new REACT cushioning that’s neither Lunarlon or Zoom like past models. It’s crazy to think that a guy who puts up 10-8-8 could be a signature star but think of Draymond in a similar light as Dennis Rodman and his NDestrukt model in the 90s. He can guard positions 1-5 on the court and has proved all doubters wrong, so at this point, we wouldn’t be surprised to see a Draymond sig in the years to come. Kevin Love has never lost a playoff series. He’s fitting in better than ever with the Cavs in season three with playoff highs of 17 and 10, and he considers himself a two-way player after locking Steph Curry down on the Dubs’ final possession in Game 7 last year. That last thing might be a major overstatement, but the more confident K.Love is, the better. 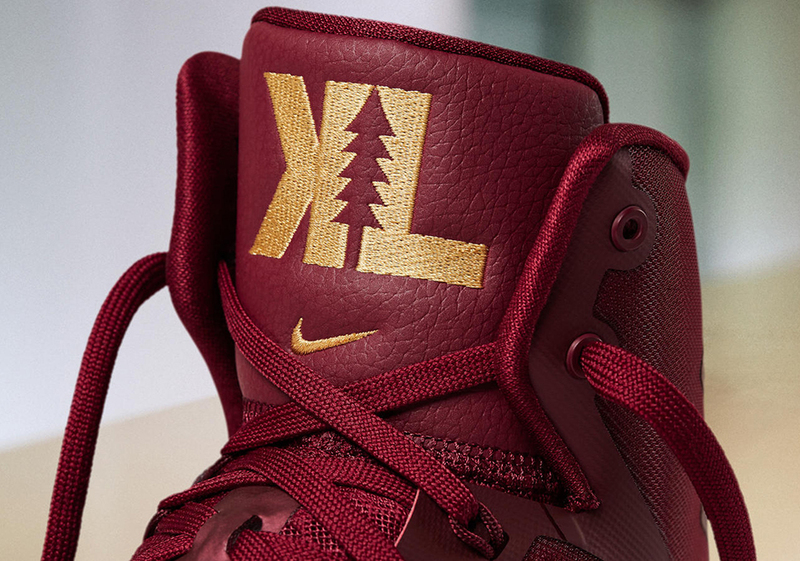 Nike even sketched Kevin a brand new PE logo just in time for the NBA Finals on his new Nike Hyperdunk 2016 PE that takes him back to his days developing his craft in Lake Oswego, Oregon. The ‘KL’ features a douglas fir splitting down the center. Expect to see this logo on all of his exclusives for years to come (as long as he stays in LeBron’s good graces and continues to produce in Cleveland that is). Fans of NBA Reddit know the story: the Warriors have really gone 27-1 since a Reddit user had Klay Thompson sign his Warriors toaster. Klay has even gone on to acknowledge the streak in his signature low-key humor. Despite all of the Warriors’ success, Thompson has struggled with the one thing that sets him apart from the rest of the league: his beautiful jumper just hasn’t gone down the way it usually does. That’s either good or terrible news for the Cavs depending on how Klay shoots for the next few games. He opted out of his basic Nike contract a few years back and decided to sign with Chinese-based ANTA. 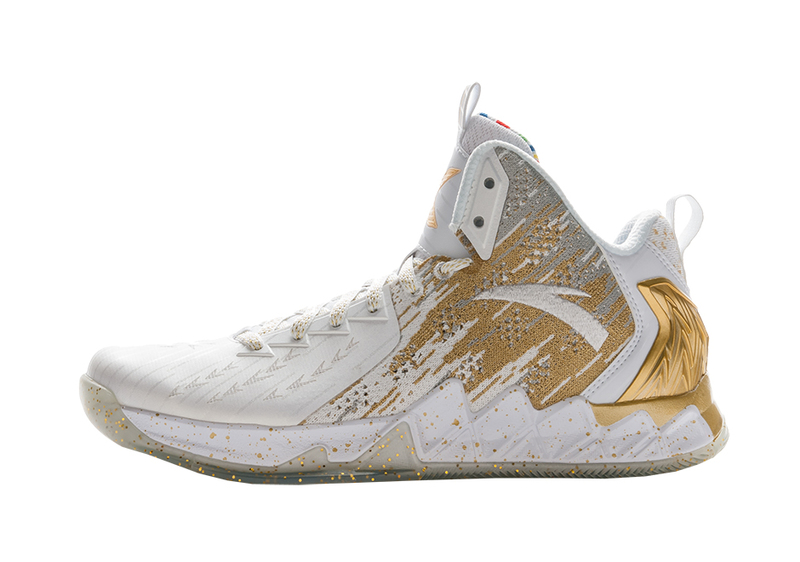 He’ll be lacing up two different ANTA KT2 PEs featuring Metallic Gold speckling throughout in honor of the quest to grab his 2nd Larry O’Brien Trophy. Some may hate on the unconventional signature sneaker, but Klay has always gone his own route. Expect at least one Klay game during the Finals – last year it was Game 5 but unfortunately, Draymond was out and Kyrie and LeBron both put up 41 points in the same game to stay alive. We’ll be patiently waiting for Klay to catch fire and go off. There’s always an X-Factor in every NBA Finals. Andre Iguodala stole the spotlight and ended up winning Finals MVP two years ago. Shawn Livingston was nothing short of exceptional during the Warriors’ homestand to start things off last year. But it was JR Smith of all people that got the Cavaliers back into Game 7 to start the 2nd half last year, and he was the guy to slow down the fast break that allowed for LeBron’s now historic chasedown block that will be etched in history. Here’s who might show up in some unexpected heat during Cavs vs Warriors: Part III. Ever since splitting with adidas, Iman has been alternating some crazy Nike Basketball retros from the Nike Air More Uptempo to the Nike Air Shake NDestrukt. He’s even worn the Reebok Question collaboration designed by his superstar wife Teyana Taylor. His on-court selections are hit or miss though, much like his ability from beyond the arc. He could also just show up in some general release Kyrie 3s or the LeBron Soldier series. The game is more exciting with a crazy Shumpert dunk from his days in New York, and we loved his trash talk to Steph Curry last year. Hopefully we get prime Shump both on-feet and on-court during the series. 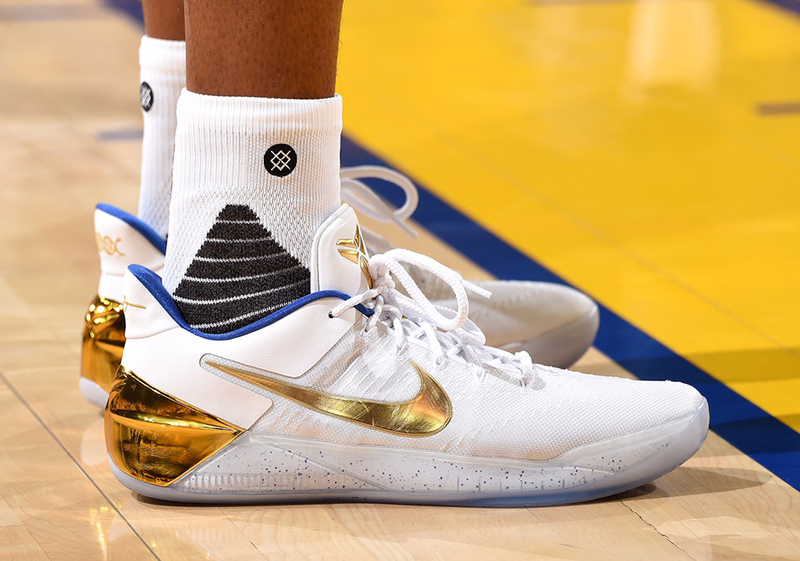 Andre has been sticking with the Nike Zoom Rev 2017 for most of his postseason, but there’s a Nike Kobe AD “Big Stage” that we’re just dying to see show up during the Finals. We’re here to say just do it, Iggy. LeBron got revenge on Andre’s Finals MVP Award the previous year by saving the Cavs’ season with a chasedown block on the veteran, but AI will have more energy than ever to guard LeBron in spurts thanks to the addition of Kevin Durant. JR will always JR. He’ll pull up from 30 and you’ll yell at him not to, but then praise the man for hitting it with a hand in his face. He had a great series for the Cavs during their comeback from being down 3-1. Gone are the days of rocking Kobes and random Jordan retros, as he’s more of the type to thank his teammates for putting him in a winning situation by rocking their signatures. Expect JR to alternate between some Nike Kyrie 3s and the Nike LeBron Soldier 11. 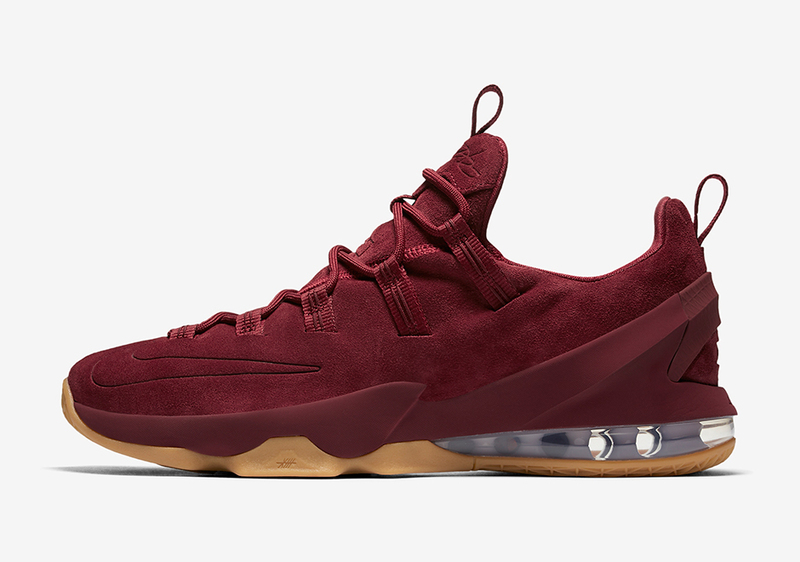 He was a fan of the Nike LeBron 13 Low last postseason, so maybe he’ll even bust out those lifestyle ready versions featuring upgraded suede on the upper. And there you have it. What are you most excited about to watch for during the Cavs vs Warriors: Part III this month? Game 1 starts tonight at 9 PM on ABC. Let us know your prediction for the series in the comments section and stay tuned for full on-feet recaps right here on Sneaker News after every game.